Crochet hearts are the sweetest! I kind of have an obsession with them. No matter the pattern, they look lacy and pretty and really just adorable. I love using them for decoration or for embellishing other projects, too. The possibilities are endless in my opinion. 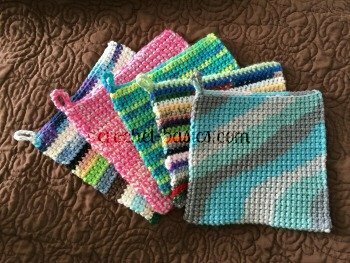 You can use any kind of yarn or thread with any size hook to get the results you want. Big or small, they’re always awesome. The best part is that most patterns for crochet hearts are quick and simple. That means you can work several hearts in no time at all. They are the perfect project for beginners because of this reason. You quickly get a finished project. And when you’re just starting out, it’s nice not to have to work hours to see your final result. 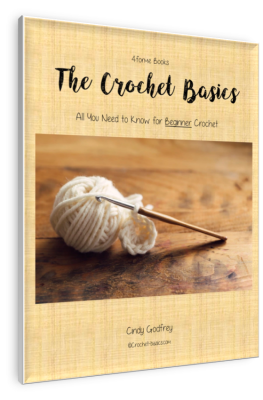 I’m sharing a couple of my favorite crochet heart patterns here. The first one I’ve made so often I have it memorized. 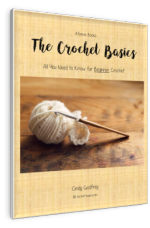 This is a popular pattern for crocheters to use because it is so quick and easy to work. The second in a crochet granny heart, which is fun and goes quickly as well. I like to call this a magic ring heart, because it’s worked completed into the ring. Here's this quick, simple pattern. Work a magic ring. Ch 2. Work (3 tr, 4 dc, 1 tr, 4 dc, 3 tr) into the magic ring. Pull the ring until it is almost closed. Ch 2 and ss into the ring where the small opening is. Now, let's break it down with some pictures. 3 tr) into the magic ring. Pull the ring until it is almost closed. You’ll still need a small opening to fit your hook through. This is my favorite part of this heart. You pull the ring closed and like magic you have a heart! Ss into the ring where the small opening is. This can be a variation on this heart if you want. You can pull the loop completed closed, like the picture above, and have a nice tightly closed heart. Or, you can leave a small hole, like the heart to the left, for a fun and different look. It’s up to you! Instead of weaving in your ends, you can fasten off your stitch and tie your ends together for a cute little hanging heart, too. It's so easy, right, and absolutely adorable. It's practically impossible to make just one of these little guys. Try different variations like the ones I mentioned above or try it with different kinds of yarn, or various hook sizes, too. I love this heart with chunky yarn! I love granny squares and I love crochet hearts, so this pattern is the perfect fit! It’s an easy pattern to work and takes no time at all to finish. Join with a ss to the first chain. Chain 4 (this equals 1 dc and 1 ch). In a new color pull a loop up in one of the ch spaces. It doesn’t matter which one. I usually start with the one right before my ss of the last round. Work 1 dc, ch 1 in same space. Join with ss to ch 3. Work 2 dc in same chain space. Work (3 dc, ch 1) in all the chain-spaces around. Work 1 dc in same stitch. In next ch-sp work 3 htr. Repeat * to * twice. *In the next ch-sp, work 3 dc. Repeat * to * 2 times. (3 tr, ch 2, 3 tr). *In my example, I used the same yarn in rounds 4 and 5. If this is what you're doing then you won't fasten off. You'll just start on the next round at the chain 1. Now it's starting to look like a crochet heart. It's a little awkward, but don't worry the next round will finish off the heart. In a new color, pull up a loop in the same stitch as the ss. In the 1st ch-space, work 2 sc, 1 hdc, ch 1. Join with ss to ch 1. There you have it, a beautiful crochet granny heart. 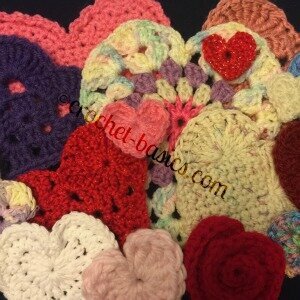 Do you need some more crochet hearts to keep you going? Here are a couple that I just love and that you'll want to make. I added a frilly edge to this heart by adding a round of (sc, ch 1) around.